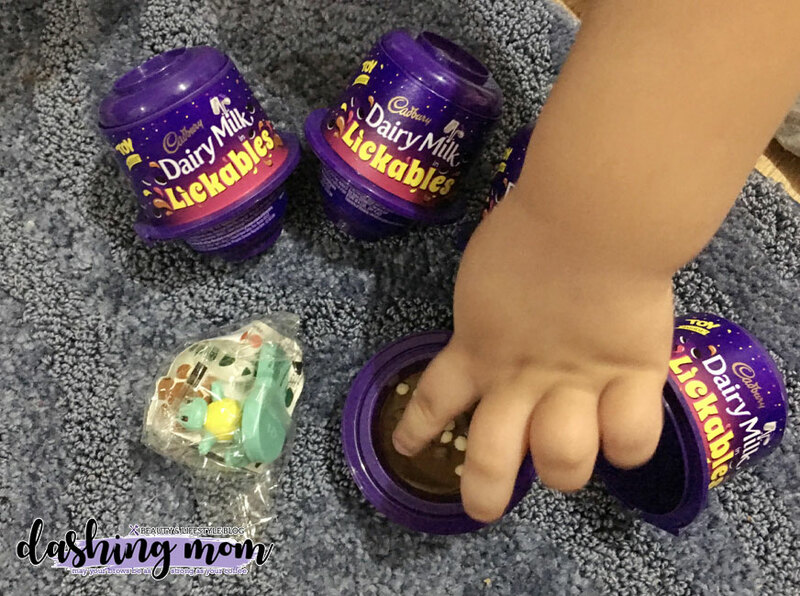 Hi guys, this might be not a beauty blog entry but here's another new section for my blog where I'll be sharing my son's reviews/ discoveries in toys, playgrounds, food, and places. So let's get started and don't forget to #HarveyAdventures if you share this one! Today I'm going to share with you exciting news about Cadbury Dairy newest item the Milk Lickables! #HarveyAdventures loves opening chocolates. The time he saw this one at the supermarket, he immediately asks me what it is. 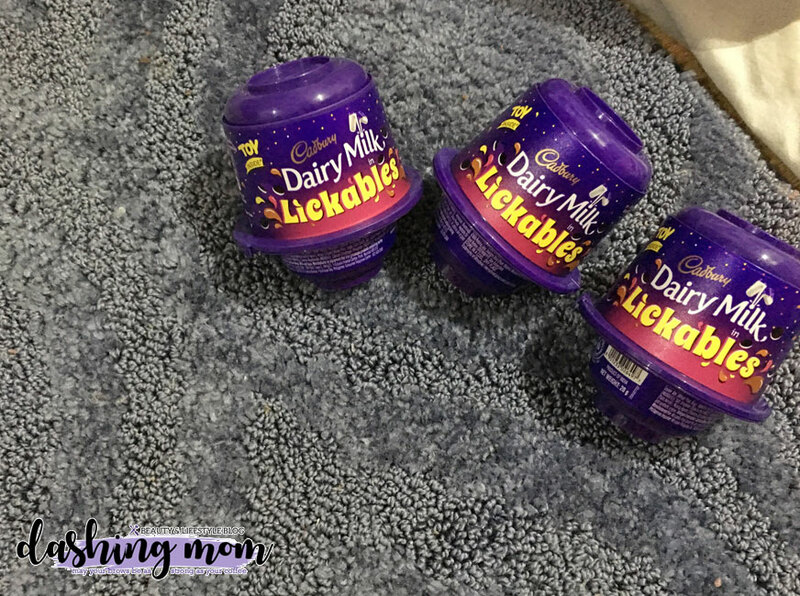 Unlike other surprise egg that has the egg-shaped container, Cadbury Dairy Milk Lickables container is not similar to an egg. The container is made of a plastic that is stackable. When you have an empty container you can use it to store some small items/toys. Before eating the chocolate, you need to peel off this cover note that contains the name of the product and ingredients of the chocolate inside. 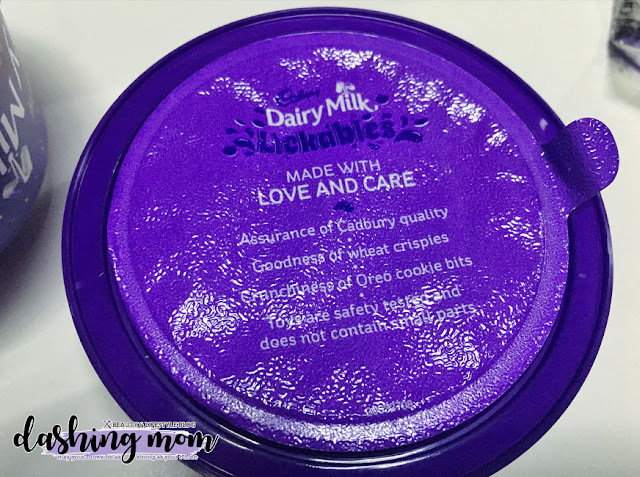 Here's the inside of the product, it contains a delicious signature chocolate from Cadbury with some rice crisp on top. Once you eat it underneath that outer layer, you may taste bits of oreo which surprised Harvey while eating it. 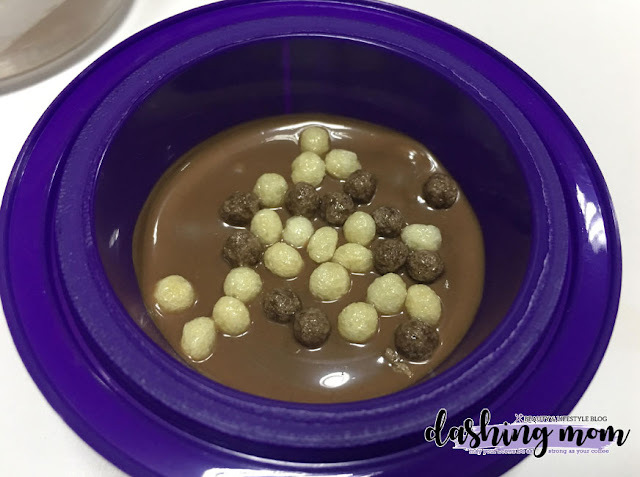 By the way, the chocolate is placed at the bottom part of the container. It has a big scoop with some engraved face-like on it. If I'm not mistaken Pokemon characters that #HarveyAdventures got were squirtle, ginger, eve and a pokemon ball. I like the fact that toy inside of this one has a whistle, Harvey loves making a sound, and this one is perfect for him. 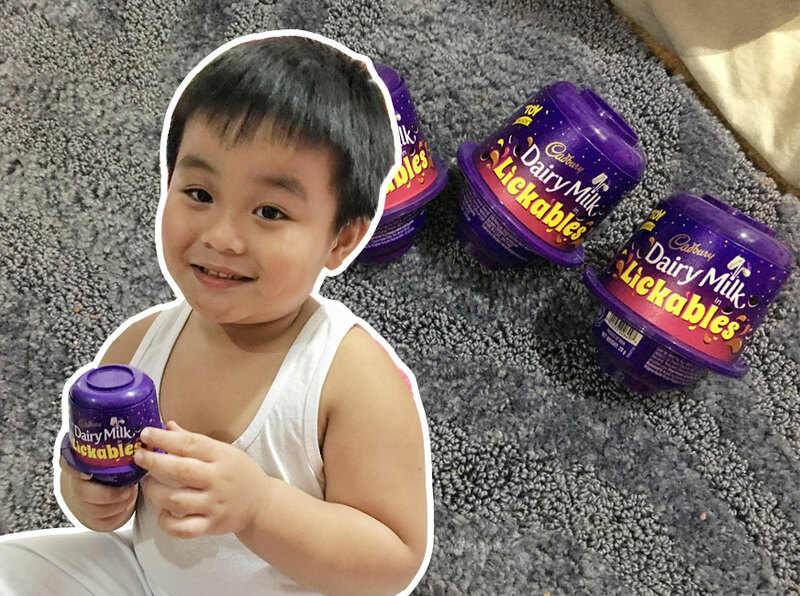 Cadbury Dairy Milk Lickables cost 46.50 PHP and it is available at your favorite supermarkets and convenience stores. If you are asking if this is a good deal? For me yes it is because the chocolate is not that too sweet and it has some textures once you eat it. I hope that they add more toy selection, not just Pokemon maybe some cars and mini dolls for girls.